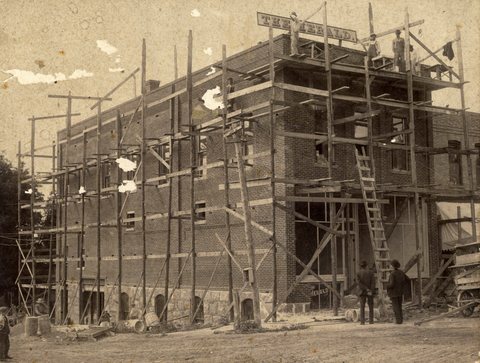 Now the home of Glacial Ridge Eye Clinic, construction of the building began in 1899 by George Hallet and was used immediately by the Independent Order of Odd Fellows. The publishers of the Glenwood Herald bought the building in 1903, and the Odd Fellows and other organizations continued to meet upstairs. The Glenwood Herald was published in various locations around Glenwood from 1890-1947. 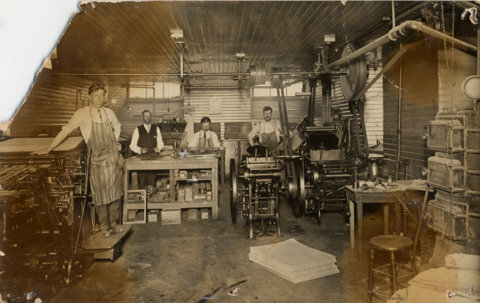 The intention of the publishers was to place the composition and editorial rooms of the Herald on the center floor and the machinery, engine and heating plant on the basement floor at the beginning of 1904. However the second and third floors of the structure were instead rented to G. Swenson and his general store. The Herald was pleased to accommodate his new business as well as to advance the interests and progress of the town. In 1929 the Odd Fellows bought the building outright but continued to rent out the lower floors to businesses. The Odd Fellows disbanded in 1973 due to lack of membership. The Glenwood Lodge 151 Independent Order of Odd Fellows was chartered in 1899 and the original members included: W.J. Carson, EE. Rowland, Luke Simons, George Blood, T.L. Hoff, D.W. Rowe, F.W. Werdin, Louis Remick, William Miller, John Bermath and Chester Fuller. 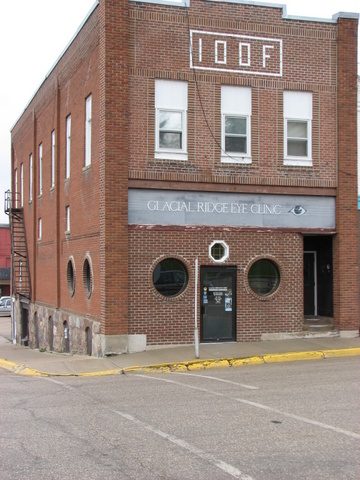 The Glacial Ridge Eye Clinic has called the Herald Building home since 1986. The business originated by Craig DeJong and Dean Netwal and now owned by Dr. Steve Larson continues to thrive. 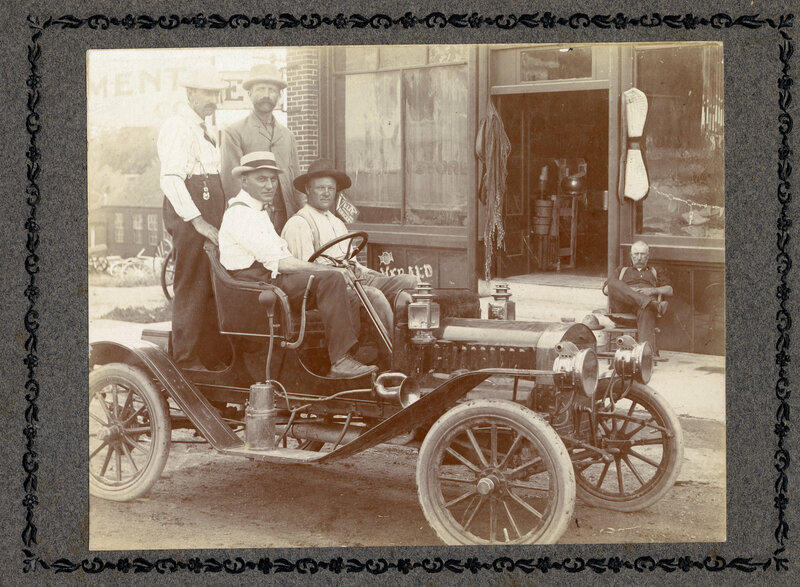 This entry was posted in Local History and tagged Glacial Ridge Eye Clinic, Glenwood 150, Glenwood Herald, Glenwood Minnesota, Independent Order of Odd Fellows, Pope County Historical Society, Pope County History, Pope County Minnesota, Pope County Museum. Bookmark the permalink. BILL SCOTT OWNED BLDG AT ONE TIME. FMA HAD FRONT OFFICE AT THE TIME, HAROLD J HAD OFFICE SUPPLY BUSINESS IN BASEMENT INSTALLED HEATING SYSTEM FOR PART OF BLDG.